Knowing this, that the trying of your faith worketh patience. But let patience have her perfect work, that ye may be perfect and entire, wanting nothing. If any of you lack wisdom, let him ask of God, that giveth to all men liberally, and upbraideth not; and it shall be given him. But let him ask in faith, nothing wavering. For he that wavereth is like a wave of the sea driven with the wind and tossed. For let not that man think that he shall receive any thing of the Lord. This morning was not the usual buzz and for some part I get the sensation that for many of us that we come to a point when we must do what we call a reality check. It is not doubt, it is facing up to what fails to happen, what fails to change, what fails to improve. What can be annoying for us is that those who appear to be successful because they have a large church, money in the bank, a nice house and a wonderful family. It seems they have a team behind them publicising their teaching and their products and they seem to live well. I like to do a reality check because it is exactly that; a check to see that what I am doing is based on reality and not based on personal delusion. The first thing I look for is not to look at the symptoms of indefinition but look to see what my motivation is. What gives me the drive to do something that either has no guarantee of success or visible fruit? The second thing I look for is the guiding principle and where that comes from. That is what Call came? How did it come? And what substance Biblically did it contain? Is my interpretation of Biblical revelation based upon my susceptibility to be subjective not being objective? One thing I have discovered is the art of contemplation where I just stop and think on Biblical things God gives me. Before the process is finished my understanding is not based on what I feel nor what I perceive. 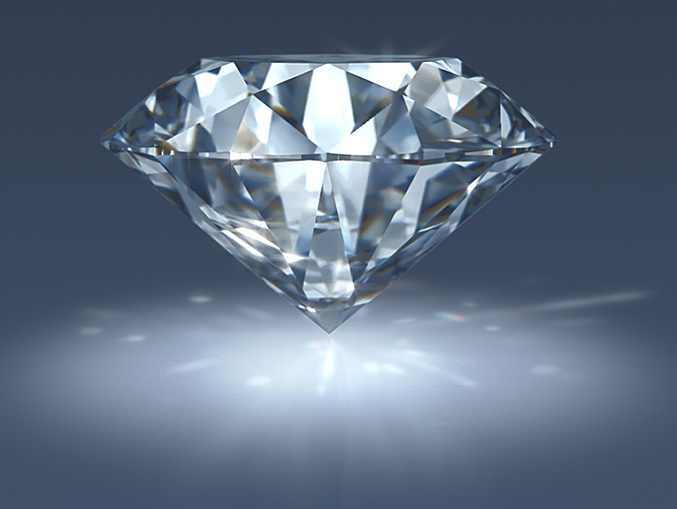 The scripture is like a diamond. As you can see the light coming through is refracted in many directions. For me to understand what that facet of light shows me I must keep in tune with the Author so that the light I am seeing is in what context. The whole aspect of context is very important as it only comes from a commitment to Biblical meditation and reading. It is not done in one time but an interpretation of a rhema could take days, weeks or years! Then going on with this reality check I must visit the whole concept of success and fulfilment. It touches a little that which drives us to do what we do. In this reality check we must come back to the time when a consciousness of our vocation came to us. When God calls He tells us the parameters of our call in very initial terms. Our success and fulfilment is coloured by the world concepts that filters through everything we see and everything we hear. And causes us to measure ourselves to the worldly standard. It breeds both structures and forms that sometimes our Churches propagate the same ideas and breeds the same frustrations albeit from a Christian standpoint. Those who are successful think that they can somehow transmit their success through laying on of hands or prophecy. Coming to our text in James 1 we see that patience is very much a doorway to what God sees as the great things that denote success according to God. I know many saints who are dealing with waiting for opportunity to receive opportunities, be received by their Church , belong to a community where they are supported on many levels, receive godly and insightful counsel. There are those who are dealing with long term health issues where their faith has been called into question because they have not got healed. Many tire, of the same scenario of pain and disability. It seems how we approach them is with a lack of godly insight because we have packaged the faith and prosperity message neatly into a package that all can accept. James points to the attitude, to understand and not be dismayed at the trial of faith. He says let patience do her perfect work. So if the acquisition of patience has a perfect work is because it is governed by predetermined principles and desires of Him who is preparing us for eternity. So from this point we can surmise that this perfect work of patience brings us squarely into a privileged place in God. It also means that those who portray their “success” via their ministering or via social media, may be surprised in the heavenly realms when they leave behind their success and find themselves bereft and naked before the Judge of all the Earth. Therefore in this vein we come to what perfect work of patience does. It galvanises our faith to not just believe it to be a virtue of acquisition of things and circumstances; but faith is the preparation of character to be like Him when we pass from this life or when He physically comes for us. Therefore once we have reached this level in our meditation how do we deal with the contradiction we see in our lives? Dreams unfulfilled, health undermined, and lack of opportunity for financial constraints? We must see they are contradictions because we may have set our minds on things below rather than those that are above; Colossians 3:1. Also in my study of Scripture we see both absolutes declared yet we sometimes see the opposite occurs. Our reality check must see a principle; all absolute truth concerning God and His work on earth with men and with His Church is a gradual process which culminates with God establishing His Kingdom in our lives. This establishing comes with Prayer, comprehension of Biblical revelation, a walk of faith and patience. That way we prevail. And so finally in this reality check we look back and see exactly with precision how God has led us. We see as we walked with faith and patience that we walked in a place of reaching objectives which do not fail. That way our reality check shows us that we are weary of having to wait for patience to have and fulfil her perfect work and objectives and that as we meditate what God has done in us and through us we take on new hope and as a result faith comes. Let us never forget that patience must be learnt and walked in so that in no time do we lose sight of God and lose our sense of Him in our everyday lives. We must resist the fashions of the world which press us into a mould of defining us to evaluate our success by worldly standards. Our success is to know Him and the Power of His Ressurrection.